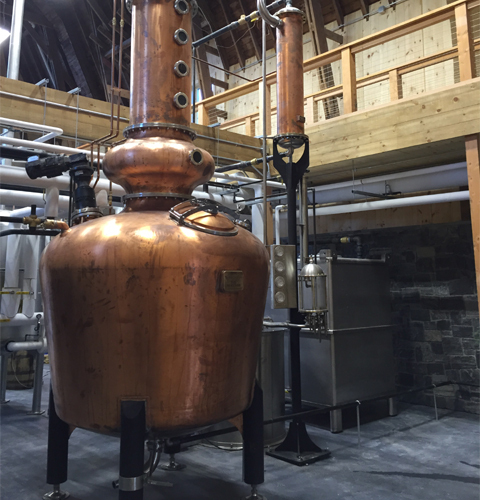 A multi-story copper still was designed by a Master Distiller and constructed specifically for the project. 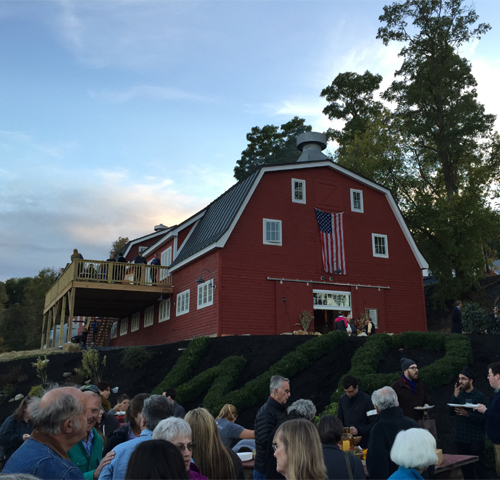 The distillery equipment occupies approximately half of the barn which is open to the roof structure above. An upper floor viewing deck along the side of the room overlooks the equipment. 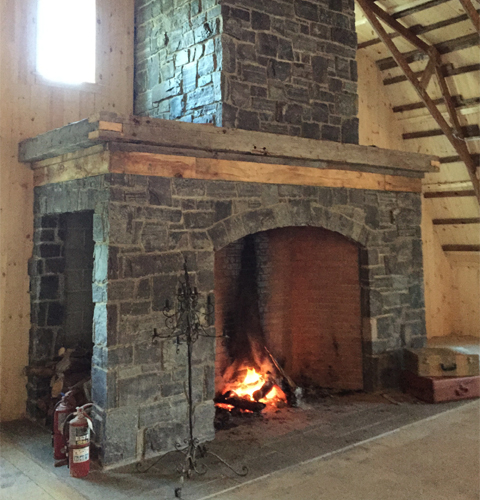 A new stone veneer fireplace is a focal piece on the upper floor of the distillery. Photographs of the fireplace are quite deceiving; an average height person can easily stand inside the opening.